Let us guide you around DeWalt. The unique name DeWalt comes from the inventor of the first radial arm saw; Mr Raymond. E DeWalt. He started the company almost a century ago. In 1960, this small business saw a brilliant opportunity to be part of a much bigger tool manufacturer - Black & Decker. At this time, Black & Decker were already an established business who were about to launch the first ever cordless power drill. Sharing expertise with a like-minded company helped to give DeWalt an extra boost and take them in a new and exciting direction, re-inventing themselves as a high-end, contractor-grade power tool manufacturer. Their ambition to be the best, drove their next move to expand their product range and target commercial contractors. They did this by incorporating the technology from another successful company, the German wood-working business, ELU. 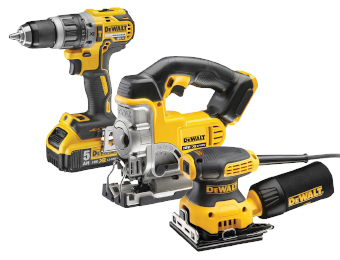 1992 was a significant time for the brand, exactly 70 years after DeWalt was born, they introduced their first range of portable tools along with accessories. This new production line captured the attention of professional woodworkers, builders and contractors. 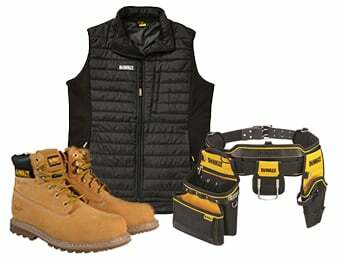 Over a number of years DeWalt has continued to grow and expand, building a positive reputation and relationship with professional tradesman. Their tools are recognised for being consistently reliable and durable with outstanding performance. Respected in the marketplace for delivering exactly what the tools are intended for, with rigorous testing on every machine, to ensure they meet their promise of ‘Guaranteed Tough’. 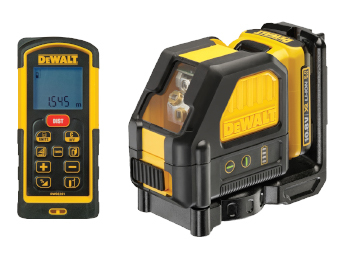 More often than not, DeWalt are first-to-market with the newest inventions, whilst others tool manufacturers try to catch up, or compete, they can’t always achieve the same level of high standards you can always expect with DeWalt. This is why their customers remain loyal, because they want the best and they don’t want to compromise. 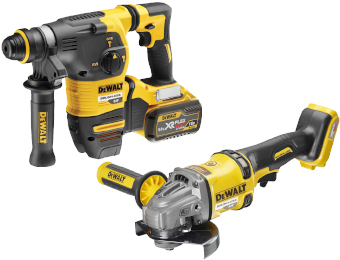 The advantage with ‘buying into the brand,’ not only means you have access to a superior range of both corded and cordless tools, but for many of their dewalt 18v tools or 54v products, the chargers and dewalt batteries for sale are cross-compatible, meaning you can use the same one across a variety of different tools. The demand for cordless is growing at a significant rate, it’s the new benchmark for modern tools and working with this new-found freedom is priceless! Flexvolt is a revolutionary technology that DeWalt have patented and gives the user the power (and freedom) to be cordless on the work site and use heavy-duty machinery. It all started with the dewalt flexvolt battery. A fully convertible 54v battery that does the same job as plugging a corded machine into a transformer or mains power outlet. Take away the restraints of a power cord, and large contractors can now work virtually anywhere! With a 54v flexvolt battery there is enough power and runtime to get the job done. When the range of flexvolt tools were reviewed by experienced tradesman they couldn’t see or feel the difference between the corded version and the flexvolt tool. 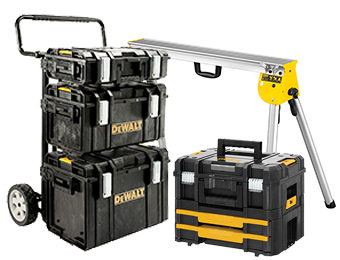 Plus, being a convertible battery means it also works on all of the dewalt 18v xr collection. 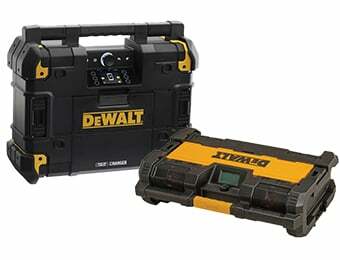 This in time, will pay dividends, saving the user both time switching batteries over or money reducing the need to shop for dewalt spares. Whilst there is a tool in the Dewalt portfolio for almost every type of job, the brand is never content with today’s standards. They do not believe that these tools have reached their final stage of development. There’s always room for improvement. They continue to re-design and enhance, to give the user a tool that performs even better than its’ predecessor or strive to offer them an alternative choice. Take the mitre saw for example, also referred to as a dewalt chop saw. There are several variations of these mitre saws available to buy, from corded to cordless and even a Flexvolt version, each with various sized blades and cutting capacities. They are the tradesman’s brand and they are determined to get you the right tool for your job, to help you to work simpler, faster and even with pleasure! Their customer base naturally lends itself to professionals, the tools are loaded with features designed to work on the hardest materials, in the most demanding conditions. However, it’s not only the trade who have noticed how robust their tools are. Rather than buy cheap tools and buy twice, with this manufacturer their reasonable price-point also attracts hobbyists and DIY enthusiasts. These yellow and black tools can now be found in the household too. The dewalt cordless drill, dewalt combi drill and dewalt multi-tool 18v are popular for carrying out straight-forward home improvements. Here, at My Tool Shed, there is more to us than just dewalt machines. 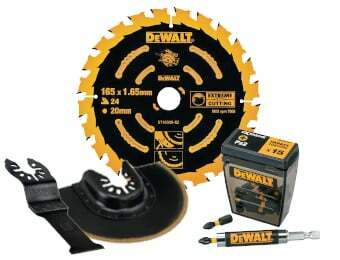 If you’re buying any dewalt dws780 saw, we can supply the blades, if you’re buying an angle grinder, we can supply the discs. Our aim is to give you all the power tool accessories you need to keep you working for longer. As well as spare batteries, kit boxes that are designed to interlock with one another and multi-chargers to stretch out runtime. It’s even possible to find ready-made tool kits packed with everything you need to get started. Often when a new business takes off and the tools that were originally bought to kick-start it, are now showing signs of wear, it’s the time to think about investing in a 6-piece kit. Excellent value for money, with six key tool components and a selection of batteries, plus either a TSTAK or ToughSystem box to help carry, protect and store it all. My Tool Shed really are the one-stop-shop for DeWalt. Kits, twin packs and even bare units is what we do best. With all the accessories to support these, available now at our lowest prices, here under one-roof. We are proud to be associated with this pioneering brand. Their tools are slick, easy-to-use and exceptionally powerful. They’ve got everything going for them, and nothing holding them back. You can buy from us with confidence and feel reassured your tool is also covered with 1 year’s warranty. My Tool Shed is an approved stockist for DeWalt UK. 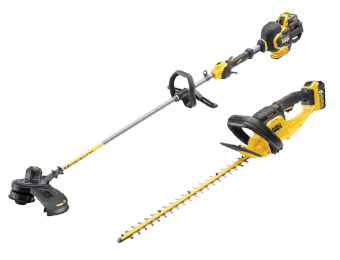 They do not sell direct to public, however you can find useful information about DeWalt below.